Jose is seventeen years old and a junior at Mission High School in San Francisco, CA. He was one of six students who received the Matador Travel Scholarship and traveled to Nicaragua this summer with a non-profit organization called Global Glimpse. 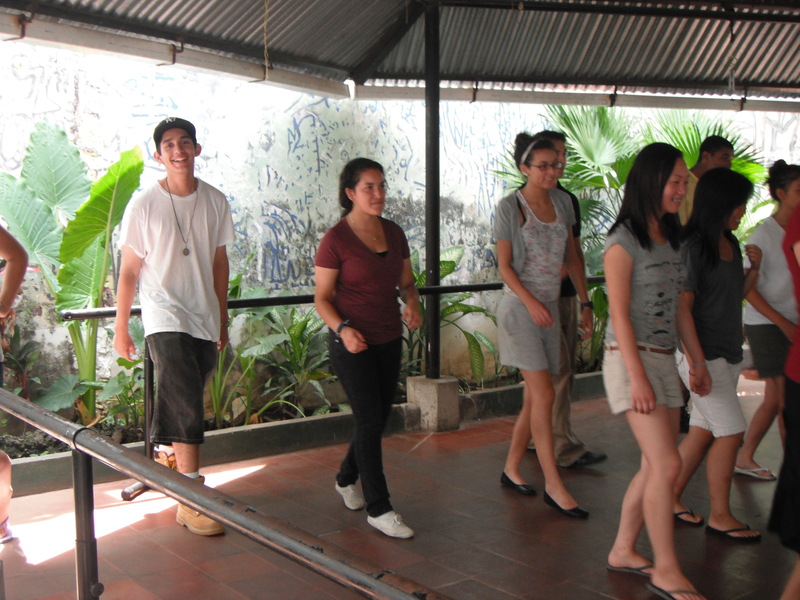 MY WONDERFUL TRAVELING EXPERIENCE was given to me after I completed the six-month program Coro Exploring, which gave me the opportunity to apply for a travel scholarship to Nicaragua with Global Glimpse during the summer of 2011. I am a 17-year old junior at Mission High School from the city of San Francisco where I was born and raised. During the start of the summer one single date was running through my mind every single day – July 27th 2011. 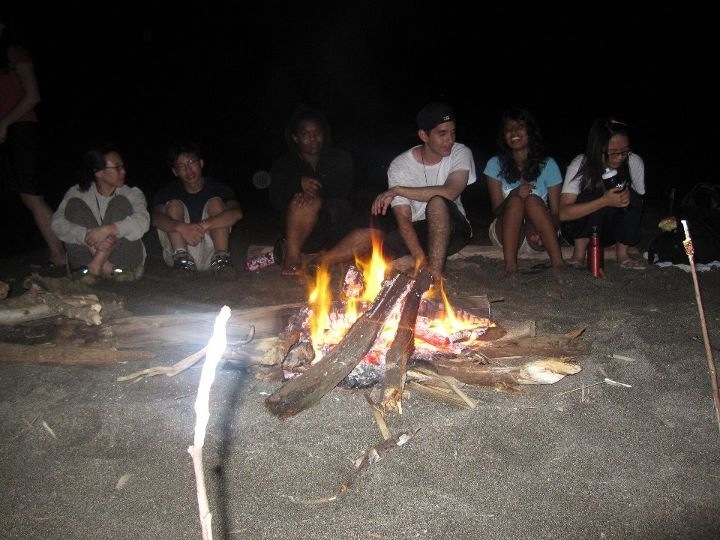 Then on the night before the trip as I laid on my bed I couldn’t help but think, “Why am I doing this and am I ready for what’s to come?” Then I said to myself I barley know anything about my parent’s home country of Nicaragua and in a way I always felt that a part of my identity was missing. I never felt that I could relate to my family when it came to the point of sharing the same culture. After several hours of deep thoughts I was at peace with myself and looked forward to the trip. Then came a moment where I felt my heart was frozen when I stepped in line to get through the Nicaraguan Customs line. I honestly thought that something was going to pop up on their screen about my family’s past in Nicaragua and I couldn’t get into the country. Fortunately, nothing happened and as soon as we got on the bus we headed to the city of Leon on a long yellow school bus that resembled the ones we had in the States. As the sky darkened I had the pleasure of meeting some fabulous people who I am proud to say became like family and we were all on the same boat in an unknown country just letting the waves take us wherever they see fit. The experiences I would face over the next three weeks would leave an everlasting image engraved in my heart and mind of happiness, excitement and overcoming of fear. 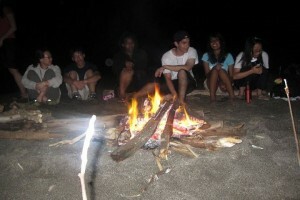 One of the most memorable experiences I had was when we had a bonfire at the beach and had smores and told scary stories. I had the chance to bond with other group members. Then I remember taking a nice relaxing walk on the beach under the moonlight and feeling the warm water. It made you appreciate the natural beauty the country had to offer. A moment of excitement for me was when we went horseback riding and the guy let me run at full speed and I was so pumped up on the horse. Then came my moment of fear when we were told that we would sand board down the side of a volcano. I was hesitant at first but at the end I am happy that I went through with it. Finally, when I went to the hospital and saw the conditions the people have to deal with, it really made me realize how fortunate people in the United States are to have such nice hospitals and a fully trained medical staff and enough to go around. This made me sad up to the point where I want to make a difference not only in my life but in the lives of others. When I came back from Nicaragua my parents noticed a huge a change in me. I had more knowledge about my family culture and a new found love for my heritage. I honestly hope that other kids my age are able to get an opportunity like this, because it allows students to see the world from a different point of view and see what life is like outside the U.S. It’s funny because when I left I had to give up all the luxuries I had in the U.S., but by the end of the trip I had gained so much more. I now have a better perspective on life and a new found passion to help improve this world of ours. Continue your support of Matador’s Youth Scholarship Fund while traveling smart by purchasing travel insurance from Waterman & Company, a Travel Guard Insurance Broker, who is donating 20% of the net revenue from each Travel Guard product purchased to Matador’s Youth Scholarship Fund. Click here to purchase.